The recent announcements about the XBOX One S and “Project Scorpio” at this year’s E3 made me start reflecting a lot on the way console technology is starting to mirror the PC gaming field. And, ultimately, it makes sense: back in the early-2000s, the PlayStation 2 and XBOX were getting touted as being “computer game consoles,” and in the years since then, gaming and computer technology has improved at an exponential rate. When new video game consoles come out, they often rival mid-ranged gaming computers of their time, with hardware meant to deliver smooth gaming experiences for several years to come. Yet, when it comes to PC gaming, there’s the traditional “tick-tock” cycle that happens with computer technology, where on one year of the swing of the virtual pendulum a new graphics card or CPU chipset gets released, and on the next year of the cycle a hardware upgrade/refresh occurs, ironing out the issues of the first release and adding in more functionality. Regardless of whether you get an early-adopter or refresh version of a component, you’re usually guaranteed at least a few years of enjoyment before it becomes terribly outdated, depending on what you want to use it for. Well, Microsoft’s plans for the future seems to mirror this incremental upgrade mindset that those of us who are PC gamers already well know. In fact, this trend is also seen in the mobile phone industry. For example, if you have an iPhone 5, you’ll likely be able to play most of the major games for at least two or three years, but eventually newer games and apps will say that they require the iPhone 5S at a minimum. The XBOX One S, which is set for an August 2016 release, has a faster processor, support for HDR content (provided, of course, that you have a 10-bit panel that can actually support it), support for streaming 4K video content, and up to 2TB of storage…all starting at $299 USD. This, of course, puts it a good bit ahead of the original XBOX One, which had no native support for any kind of 4K content period. But, although that might sound tempting, we’ve already been made aware that the next major system upgrade, deemed Project Scorpio (or XBOX Scorpio), is set to release sometime in 2017. The Scorpio is claimed to boast hardware that’s so superior compared to its contemporaries that it will, at launch, be the most powerful gaming console ever designed. Unlike the XBOX One S, this one will natively render games at 4K resolution with HDR, ensure that “older” XBOX One titles remain at 1080p at a constant 60 FPS with no drops in quality or smoothness, and a whole lot more. In other words, the Scorpio feels like a whole new system. 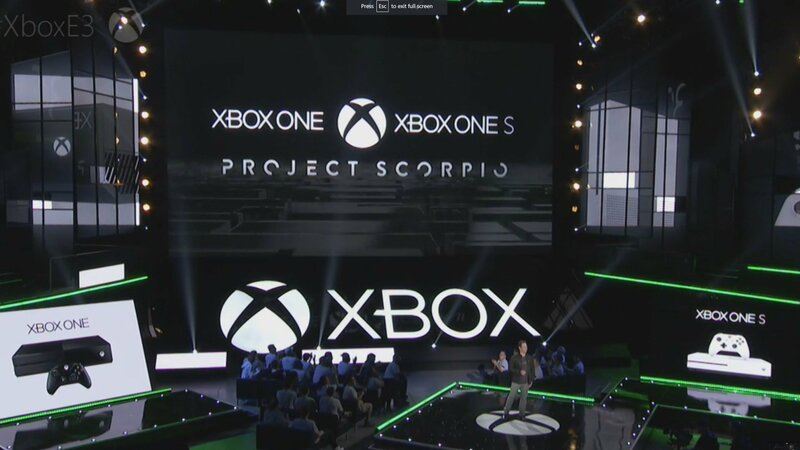 In a way, this begs the question as to why you would pick up a Slim (the “S” from the XBOX One S) as opposed to just waiting a bit more and snagging a Scorpio when it hits next year. So, here’s the thing: it seems like we’re moving in a direction where you’ll start to just see an “XBOX family of devices,” and new games that are released will come with a listing of devices that will be able to play it. I imagine that we’ll see the original XBOX One models slowly phasing out once the S releases and picks up, and in time newer games that are built with the hardware of the S and the Scorpio in mind will start to no longer support the original XBOX One hardware. It may be a while, but it’ll happen. Just like eventually another box will release that supersedes the Scorpio, and after a year or so of that one being out, support for games on the Slim platform will also diminish and be replaced. To some, this might sound like a terrible idea, but it actually makes good fiscal sense. So long as you can buy a modern system with the confidence that it’ll play titles well for at least three or four years, then it shouldn’t be a problem. Besides, we already do this with our phones, agonizing whether we want to upgrade right now and get the Galaxy Note 5 or hold out a bit more and get a Note 6. It’ll really be no different. Anyway, that’s just my take on all of this. As always, I’d love to hear your thoughts!